For a computer to function properly, users need to have the necessary hardware device and its corresponding driver. One of the most commonly used software for this is AIDA64. AIDA64 can help users pinpoint any missing hardware devices as well as providing advance on monitoring it, updates on hot plug devices, Bluetooth PAN support and File Scanner filtering. 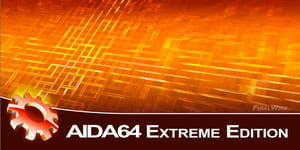 For most day-to-day issues users can download the shareware version of AIDA64 for free. For more complicated issues users may need to look beyond the shareware version. Launch the programme: once installed, it is located in Start> All Programmes> Lavalys> Aida64. In general, only one section is useful: the one found in Computer > Summary. It is generally sufficient for clearly identifying the material and displaying all the devices connected to the motherboard. To send us this information, you need to extract text. It is very simple. The operation may take a minute or two, depending on the computer. Once this is complete, you have a text file containing information about your hardware. You can copy the contents of this text file generated by selecting it (CTRL + A), copying (CTRL + C) and pasting (CTRL + V) in the location you want to send it, for example on the forum. Published by jak58. Latest update on June 29, 2012 at 10:29 AM by Jean-François Pillou. This document, titled "AIDA64 - Identify your hardware devices ," is available under the Creative Commons license. Any copy, reuse, or modification of the content should be sufficiently credited to CCM (https://ccm.net/).